Wireless healthcare is a rapidly expanding industry that’s changing health monitoring. The Health and Life Sciences group at Qualcomm is one of the key companies driving wireless solutions in healthcare. Welcome to “wireless band-aids,” wireless sensors, remote health monitoring, pill containers that kindly remind you to take your meds and devices that measure fitness. Behind these wireless technologies is a mobile phone, the “remote control” to sharing medical records, measuring vital signs and helping people control their weight through diet and exercise reporting. While Polar chest straps may have helped exercise buffs stay in shape yesterday, today’s wireless healthcare gadgets offer consumers more choices to maintain their health. Will Wireless Health Revolutionize Healthcare? 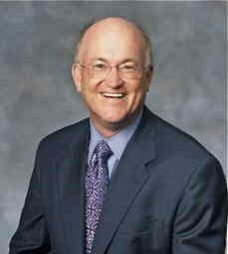 Don Jones became the founder and board member of the Wireless Life Sciences Alliance, an organization that enables new business models and improvements in all sectors of the industry, including consumer health, services, IT, pharmaceutical and medical devices. Prior to joining Qualcomm, Jones spent 22 years developing and growing healthcare enterprises. According to Don Jones, each year 150 million Americans (yes, 150 MILLION) use a hospital for emergency care, testing or admission. When discharged, patients are increasingly walking out the door wearing wireless healthcare sensors that measure vital signs and keep hospital and medical staff updated about patients’ conditions. Qualcomm estimates that by 2014 Americans will use over 400 MILLION wearable medical devices. 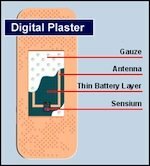 One of the more common devices, the “smart band-aid,” is equipped with a power supply and biosensors, allowing medical staff to ensure patient safety and improve medical monitoring. Eventually, patients with conditions not requiring immediate hospitalization (ex. those with cardiovascular conditions) may wear a smart band-aid applied by their physicians during routine exams. As Don points out in the podcast interview, wireless healthcare technicians, nurses and, ultimately computers, will monitor our bodily conditions remotely. If conditions warrant human intervention, computer programs will alert medical staff. The move to wireless health care is critical to controlling health care costs while improving well-being.